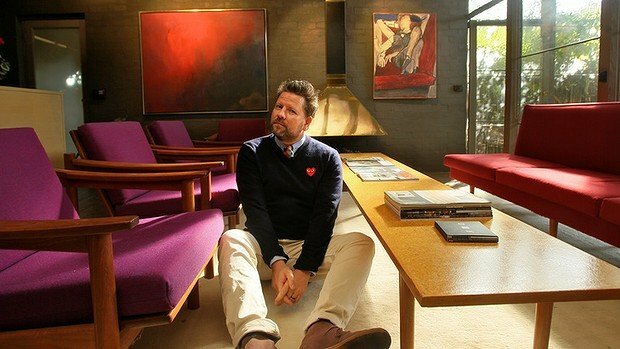 Also, Tim’s house is one of the most beautiful Modernist homes in Australia. Today he will show us around and tell how he found the house of his dreams in Sydney. MCH: Tell us a bit about yourself and the story of your house. TR: My house, the Atherton house, was built in 1959. Baker designed houses and apartment blocks in Sydney throughout the 1950s and 60s. I am the third owner of the house and I purchased it back in 2005. I have been collecting mid-century modern furniture for 20 years so it became a case of needing to find the perfect home for it. I had been looking for a place for a year and I’d been looking for an authentic Australian home. Then, I found the Atherton House and fell in love with it straight away. 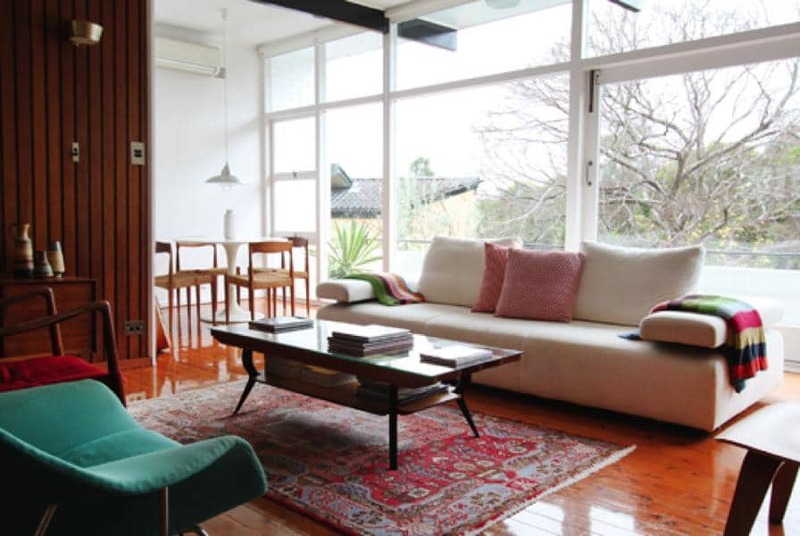 It was pretty much in original condition and was very liveable when I moved in. The kitchen has been changed a couple of times and the latest an early 80’s renovation was perfectly practical so I just changed the white plastic kitchen handles to classic metal ones. The bathrooms had been the victims of some less than sympathetic changes so I went for absolute comfort when it came to redoing those. I love the history of the house, the battle scarred timber bedroom doors, the stone dividing wall and the massive floor to ceiling glass that spreads across the front of the house. Wherever possible I have returned everything to how it looked in 1959. 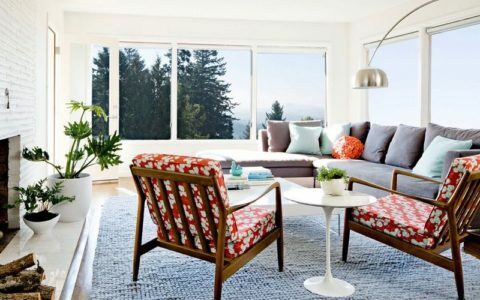 MCH: Which are the three biggest challenges and advantages of living in a mid-century modern house? TR: Having a flat roof house always means the potential of rain pouring in but thankfully my brother in law is a plumber and he has fixed all those issues. Having a wall of glass does mean that your neighbours do see more of you than we or more to the point, them would rather see. My other major issue is that we are renovating our pool area and we need a pool fence (due to government regulations) and they are incredibly hard to make blend in with a house of the period. As for advantages, the house is so beautiful, it has a heart and on certain days you can almost feel it smiling. Great architecture doesn’t come alive until you put people in it and this house grabs hold of people and they don’t want to leave. The other great thing about having a mid-century Modernist home is that it has given me the opportunity to meet so many lovely likeminded people. 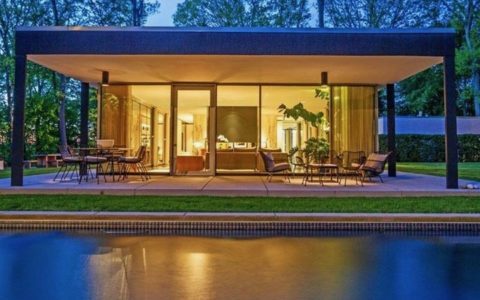 Whether they are collectors, architects, enthusiasts or even Max Weinberg from the E Street band who I have taken out looking at iconic Australian houses. MCH: Which architectural elements do you like the most of your house? TR: I love the glass, the stone wall, the high ceilings and the panelling. The house is designed so that you can open up the large sliding door and the breeze comes straight up off the harbour and keeps the house cool in Summer. There is a view from the pool where the house sits like the majestic yet simple box that it is that never ceases to make me sigh. MCH: Where did you buy the furniture? 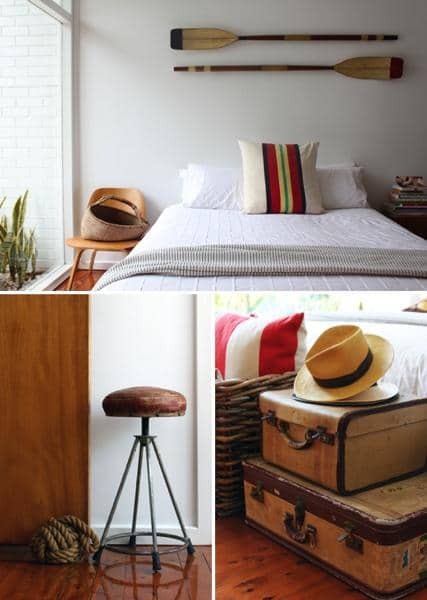 TR: I have a mixture of sideboards and chairs that I have found by the side of the road, to op shop and junk shop finds to things that I have bought at auction or at dealers. I find beauty in different pieces of different values. Some of my furniture is also stuff that was my folks. I was in charge of the set design for a couple of TV shows that I hosted so I managed to get some great bits for the set which went straight to my house at the end of the season. I like furniture where I know where it has come from. I like to be in possession of it’s back story. My womb chair was bought by a woman in the 1950’s in Sydney and then she recovered it in the mid 60s and that is how it will stay for as long as possible. I love Australian designers as much for their products but because they were the items from my youth so they have a nostalgic hold on me. I have also collected loads of pottery and glassware along the way too. 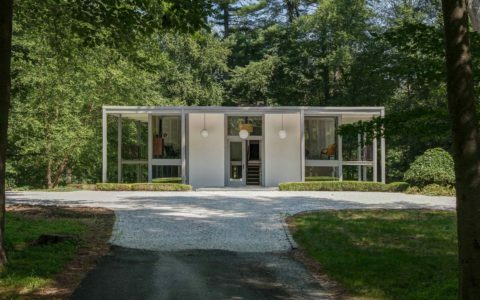 MCH: Is there a specific designer from the Mid-century that inspires you? 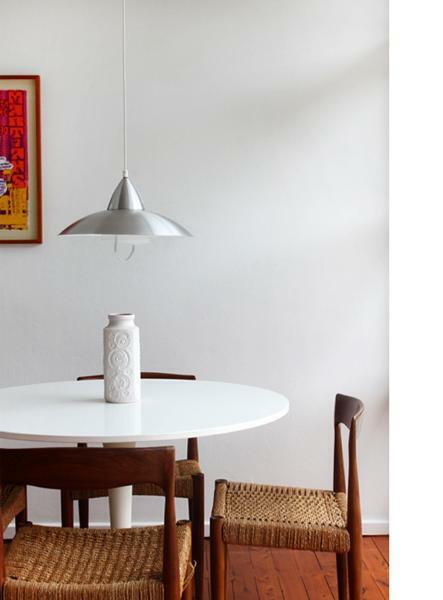 TR: I love Finn Juhl and Arne Vodder and Jacobsen. I have some of his chairs that were used at Oxford University in the Library. 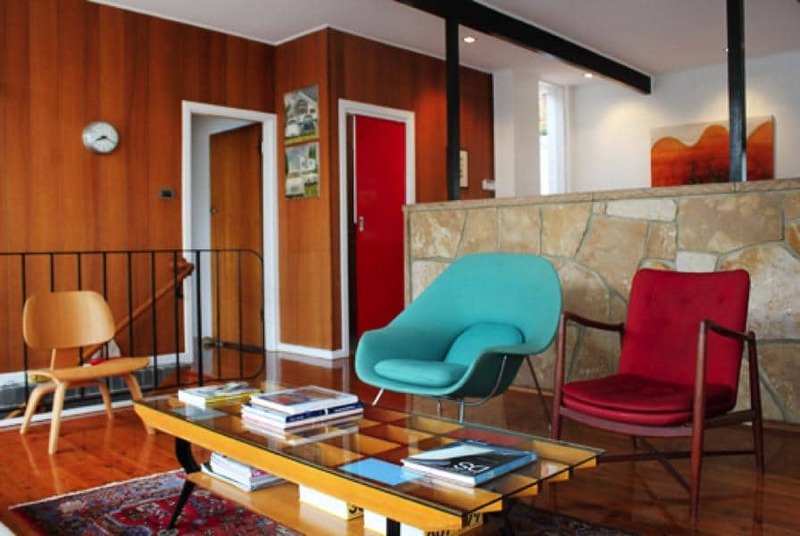 The most inspiring for me is Robin Boyd, a famous Australian architect who strove to change the way Australians lived in a very utilitarian way. 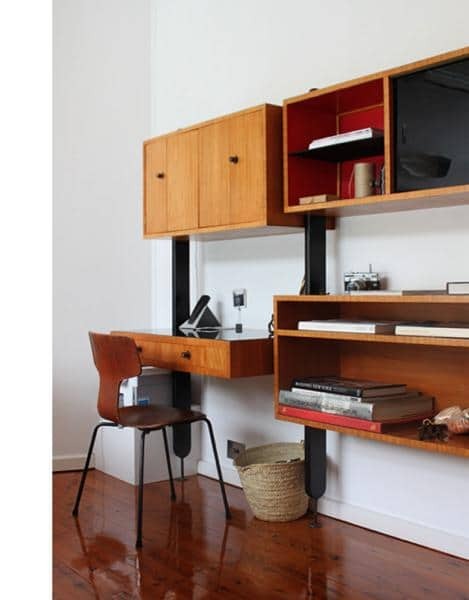 His Modernism is earthy, practical and embraces the Australian landscape. 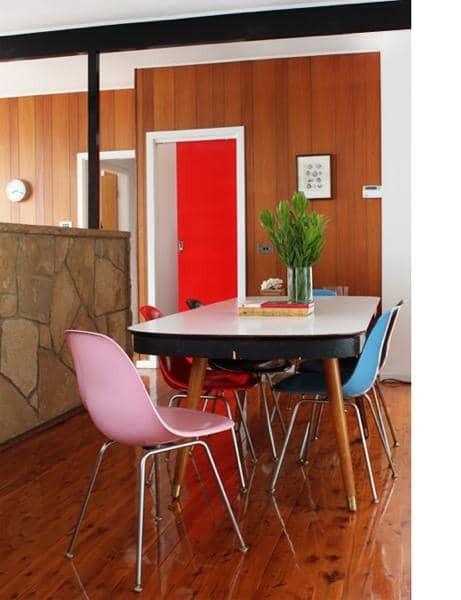 We got married at one of his houses the Boyd Baker House and it is one of the most perfect Australian homes. MCH: How did you come up with the idea for your show? TR: Man About The House is the most enjoyable project I have ever worked on and it’s an ongoing one. It marries my three loves together, comedy, music and architecture. We perform exclusively in mid-century Modernist homes and as the show moves from house to house, their stories become part of the narrative. I have done quite a lot of stand up comedy and I wanted to create a show that is truly unique and one that could allow me to see all these amazing places. 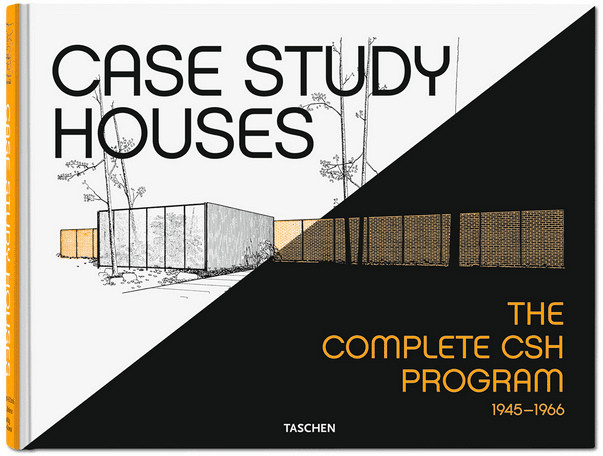 I approached the trustees of the historic Rose Seidler House, a 1949 Modernist house here in Sydney which is a spectacular museum and they thankfully embraced the idea and allowed me to do a trial season. 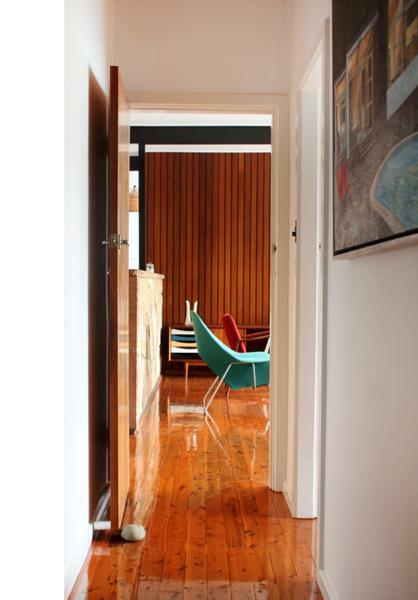 Since then we have returned for a follow up season at Rose Seidler, done two more at Robin Boyd’s Walsh St house in Melbourne, the stunning Dorney House in Hobart and in May we head to Auckland to set up in a 1947 Tibor Donner House. Later in the year we head to LA to take up residence for a season at the Neutra VDL and with a bit of luck I will be able to secure some other mid-century houses too.